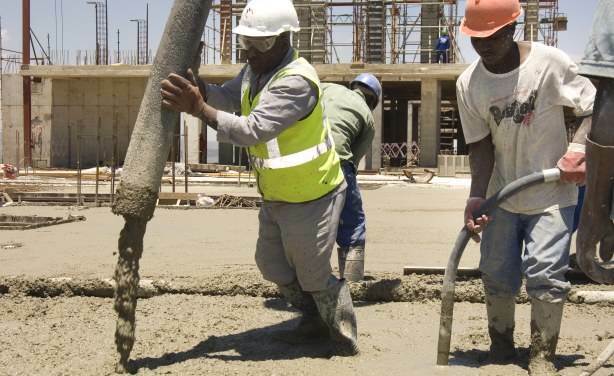 AFRICANGLOBE – To Africa’s many challenges, add one more: unemployment. Unemployment, independent of any other factor, threatens to derail the economic promise that Africa deserves. It’s a time bomb with no geographical boundaries: Economists expect Africa to create 54 million new jobs by 2020, but 122 million Africans will enter the labour force during that timeframe. Adding to this shortfall are tens of millions currently unemployed or underemployed, making the human and economic consequences nearly too large to imagine. Thus, even with the strong economic growth we have seen over the past decade, job creation in Africa remains much too slow. Africa needs a comprehensive, co-ordinated approach akin to America’s “Marshall Plan” in Europe after World War Two. That effort focused on building infrastructure, modernising the business sector, and improving trade. By the end of the four-year programme, Europe surpassed its pre-war economic output. We can, and must, do the same for Africa. Entrepreneurs, politicians, philanthropic foundations, and development organisations must all work together to solve the unemployment crisis and make Africa an engine of growth. If we are outrun by the employment challenge, Africa will be a drag on global growth and resources for generations to come. Africa’s Marshall Plan should prioritise three interdependent “pillars” of development, which all work together to form a virtuous cycle of growth: policy reform and a commitment to the rule of law; investment in infrastructure, and a commitment to developing Africa’s manufacturing and processing industries. This virtuous cycle forms the heart of Africapitalism: the public, private, and development sectors all coming together, united in a single objective of creating jobs and social wealth. First, we need enlightened government policies that help reduce administrative and operating costs for investors and businesses. We must streamline licensing and permitting processes, reduce import duties and tariffs and ease visa restrictions, among other reforms. Such policies would do much to attract investment, increase entrepreneurship and ultimately generate jobs. Microsoft’s pilot project to expand broadband access in Africa depends on government policy that frees up unused “white space” in the TV and radio broadcast spectrum. Financial services reform across several African nations, starting with Nigeria, enabled United Bank for Africa to grow into a pan-African financial institution. Governments and the private sector must also commit to strong, transparent institutions to help boost confidence in Africa’s business climate. Sustained economic and job growth requires creating a safe and reliable environment for capital — including strong civil and legal institutions, corporate financial transparency, accountable, democratically-elected politicians, and modern, open and transparent markets. Aggressive advances on such policy fronts will help support the development pillars of infrastructure investment and industrialisation — both of which are vital to creating employment on the continent. The second pillar of Africa’s development programme must be infrastructure investment, particularly in power and transportation, without which business cannot function. Today, more than 70 per cent of Africa lacks access to electricity and every 1 per cent increase in electricity outages reduces Africa’s per-capita GDP by approximately 3 per cent. Access to affordable electricity is essential to unlocking the continent’s growth potential — reducing costs and enabling business growth, including homegrown businesses that create jobs and sustainable local economies. Transportation infrastructure promises to have an equally transformative impact. The African Union should encourage and embrace transportation projects that first connect African nations to each other, and then to our global trading partners. Major multinationals like Diageo, Wal-Mart, Barclays, and Microsoft are ramping up African operations in spite of infrastructure challenges. In some cases, they even build their own infrastructure. Stronger policy and physical infrastructure would bring more investment from those who cannot or refuse to bootstrap it. It would also help small and mid-sized enterprises grow faster, and these companies are the engines of job growth in any economy. Africa’s third development pillar must be building our manufacturing and processing industries. Africa lacks the capacity to process and refine its own natural resources. Raw materials such as oil, cocoa and gold are shipped overseas, where they are processed into high-margin products and often re-imported into Africa — costing both jobs and hard currency. For example, Nigeria exports raw crude oil and then imports expensive gasoline, when the country should be able to refine the oil itself, supplying not just its own market, but also other markets across Africa. This inability to create finished goods at home, and trade them with other African nations, drastically limits the continent’s growth potential, and thus its ability to create businesses, jobs and wealth within Africa’s own domestic economies. I believe we can solve Africa’s employment challenge, but only if we focus on these three development pillars with great urgency, and accelerate current investment and business trends. Many of Africa’s stock markets are delivering stellar returns, while institutional, retail mutual fund and private equity capital is flowing rapidly into African markets. Many multinationals and African conglomerates are investing heavily in Africa. Despite such investment and economic growth, however, Africa is not creating nearly enough jobs. According to demographics, time is not on our side. But with a coordinated jobs plan for Africa, we can secure a productive, economically independent future for the continent and its people. Next articleA Black Church’s Dilemma: Preserve A Building, Or Our Identity?